Both of our girls ere introduced to VeggieTales at a young age. They love and know the VeggieTales songs by heart. We included the DVD's in their Easter baskets, as well as give it to them as presents. 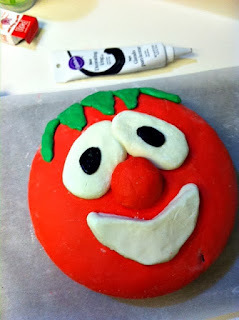 VeggieTales was our party theme when our eldest turned four! 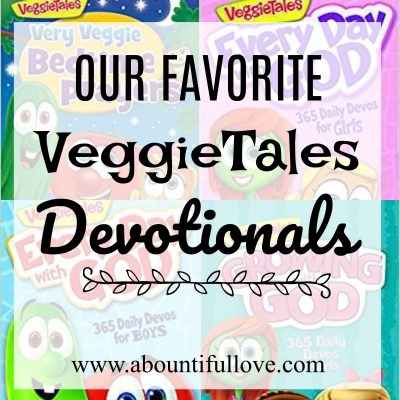 What's not to love with VeggieTales? It is funny, silly , engaging and it cultivates the values we want to teach our children. Additionally, it only not addresses the typical and usual problems or issue a child of their age can face, but it also reinforces Bible-based lessons and way of living. 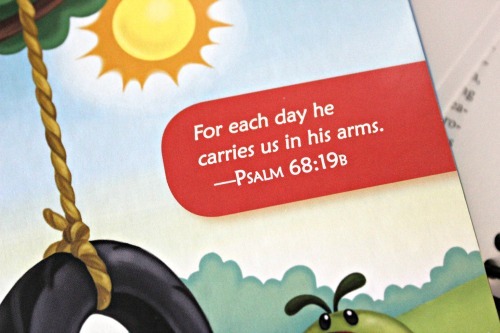 It also teaches Bible stories in such a way that a young child can comprehend. 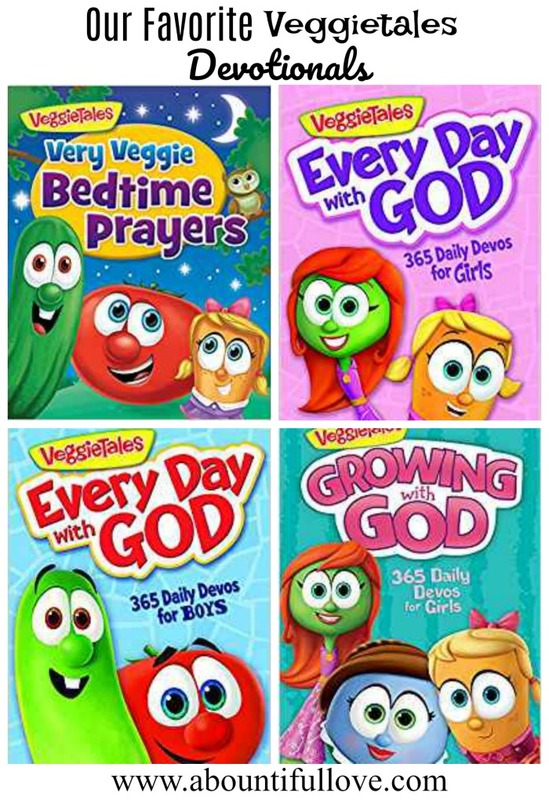 We have own several VeggieTales books such as SweetPea Beauty and the Princess Party that talks about inner beauty and God Made You Special, with its silly and fun rhymes, lets your little one know that each kid was made by God, unique and special. Here's the cake that I made for Lucy's 4th birthday! You can read more about the cake HERE. She is now an 8-year-old, Jesus-loving girl. 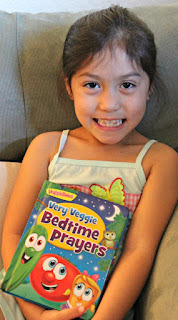 She and her younger sister still love Veggietales. Here are our top four favorite devotionals. You can also read my review and why we love this devotional HERE. 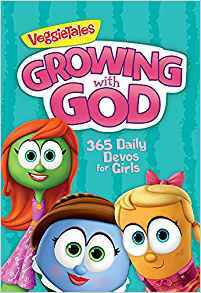 A 365 dailyGospel-centered devotional for girls that offers an oppurtunity for children to get to know God and make Him a part of their lives. Each day includes a Bible verse, short devotion, Thought of the day, and a prayer. 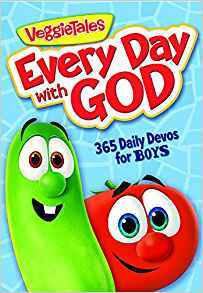 While we do not have boys, I love giving this devotional to our friends with boys! 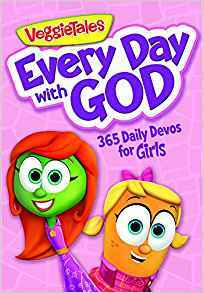 Similar to the Everyday with God for girls, each day also includes includes a Bible verse, short devotion, thought of the day, and a prayer. Even our eight-year-old enjoys this board book! 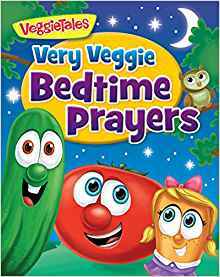 This colorful and engaging board book contains a collection of simple prayers but powerful prayers. Simple that any kid can relate. It is not intimidating because we all know how some "old-timey" prayers can be. It addresses the usual fears and worries of a kid. They learn that they can talk to God and take comfort that He listens to their prayers. Sometimes, we get busy disciplining our kids, and we forget that they too have their worries. Here's our five-year-old , she only not enjoy during bedtime but also during her reading time. 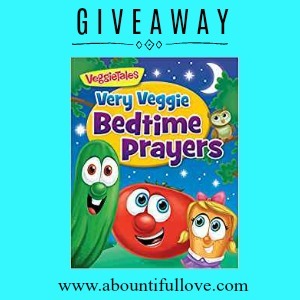 Each page is colorful and the prayers help them to transition from active day time to slow-down bedtime. I do not kow about your household but in our house, our girls sometimes find it hard to turn-in. They have just so much fun in the day! 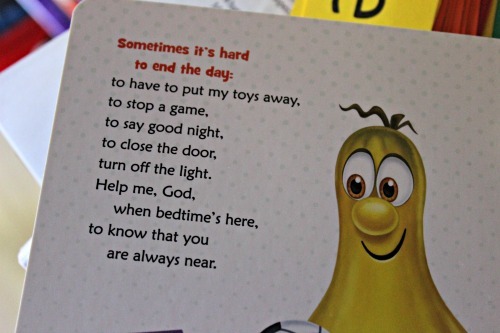 It is a small and yet powerful tool to remind our kids that even in our sleep, God watches us. Simple Bible verses to read and to memorize.